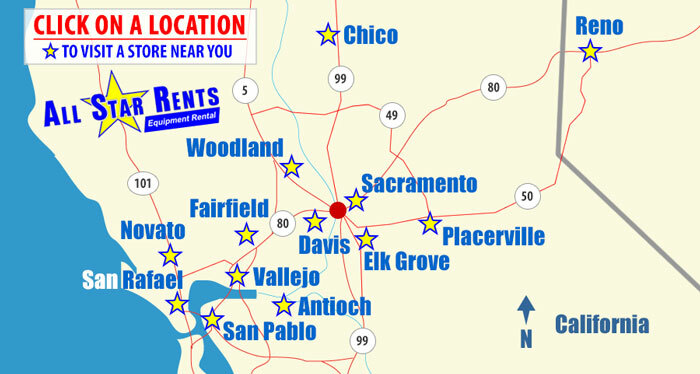 All Star Rents has a variety of ladder and scaffolding options to help you get your job done more quickly and safely. Any time you start putting people up on high places safety becomes the most important aspect of the job. We want to you be completely safe while on our ladders and scaffolding so we only rent high quality products that are specifically designed with your safety in mind. We rent two basic types of ladders: Extension and Step. Each has their advantages and purpose. Basically an extension ladder is used when you are accessing an area where you can lean the ladder up against it. A step ladder is freestanding so it does not need anything to support it. In either case you should have solid, level ground for the ladder’s base. Be careful with dirt surfaces – the ladder could sink and cause the ladder to tip over. Scaffolding can be built to accommodate an endless variety of situations. At All Star Rents we rent two basic types of scaffolding: 5’ x 10’ towers up to a platform height of 15’ (also known as "exterior" scaffolding) or 30" x 6’ towers up to a height of 12’ (also known as "interior" scaffolding). Remember to add your height to the platform height to get a "working height." Another great option for access equipment is Boom and Scissor lifts. Click below for more information. 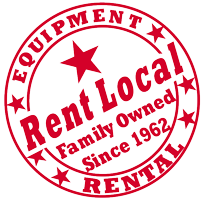 Click below to access the available rental options for your nearest location in our equipment catalog. You can find equipment instruction sheets under each product’s detailed listing or click HERE for an alphabetical listing of all instruction sheets.